With Valentine’s Day just two weeks away, it’s time to start planning the bouquet you will buy for your significant other. This is not the time of year to procrastinate. Since Omaha florists will have numerous orders for Valentine’s Day, it’s nearly impossible to get a last-minute bouquet, at least not without paying an exorbitant amount. To get ahead, order your loved one flowers from one of these local Omaha florists. All Seasons Floral and Gifts is a good option if you want to get flowers and something else for your Valentine. It has a vast selection of flowers available, including almost a hundred different arrangements. This ensures you can find a bouquet that your significant other will love. Complement the flowers with a present your partner can use forever, such as jewelry, watches, scarves, purses, or home décor. Ever-Bloom actually has two locations, one in Omaha and another in Bellevue, giving the florists the ability to deal with a larger number of orders. Ordering from Ever-Bloom is very easy. You just need to browse the website or give one of the locations a call. If you want, you can even visit a store to see the flowers in person and discuss a custom arrangement. You can just stick to roses or opt for one of the “Love and Romance” bouquets, which tend to feature pink and red flowers. There are dozens of options in this category alone, including a selection of vases. Another excellent local choice is Piccolo’s Florist of Omaha, which buys its flowers directly from growers to ensure that your bouquet always has the freshest blooms. This florist began business in 1981 and has remained family owned and operated, providing the utmost attention to clients. The “Roses & Romance” category has well over a dozen arrangement choices, or you can opt for a different type of bouquet that no one else is likely to have. If you want to get something more than flowers for your Valentine, Piccolo’s also has chocolates, handwritten cards, and stuffed animals. Don’t forget to browse the “Gifts + Bundles” category for options like handmade candles from a Charleston-based company, Rewind. 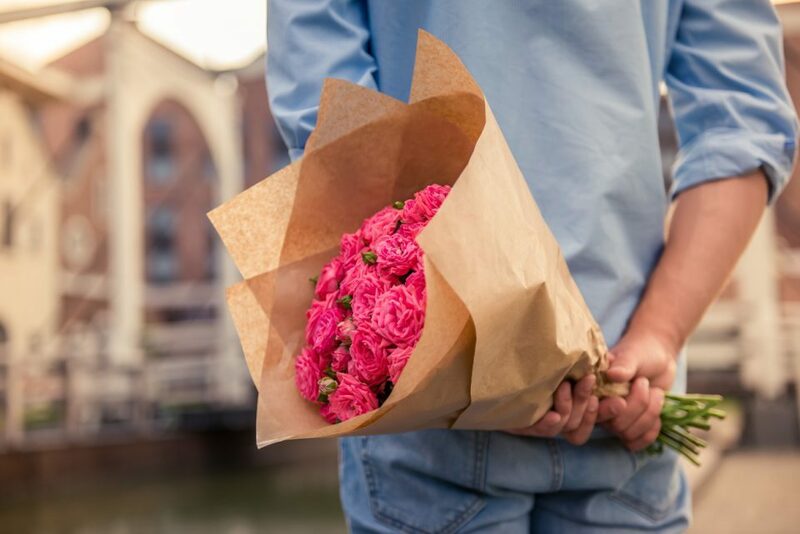 Choose whether you want to go pick up the flowers in your vehicle from O’Daniel Honda or prefer to have them delivered to your loved one’s Omaha, Nebraska, home. Most florists should offer either option.